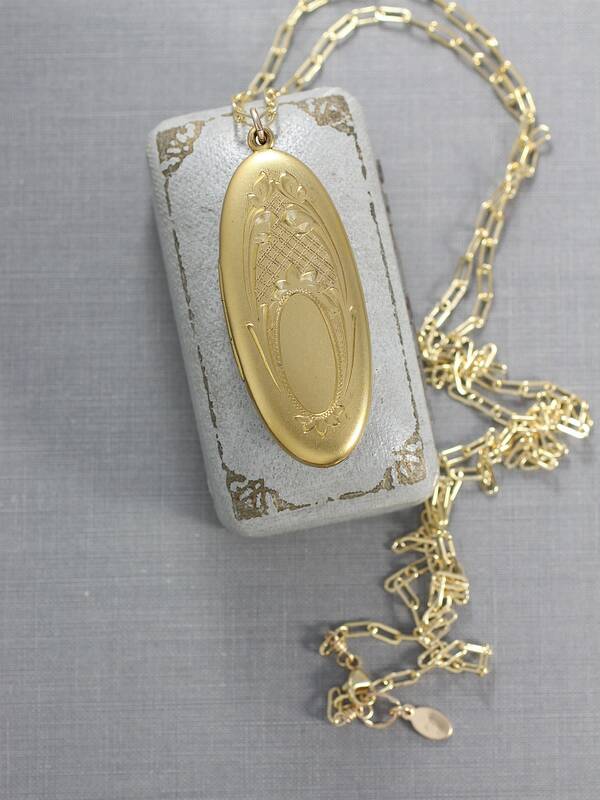 A very special and rare elongated oval locket is engraved with a wonderful latticework and floral design around its central blank oval. 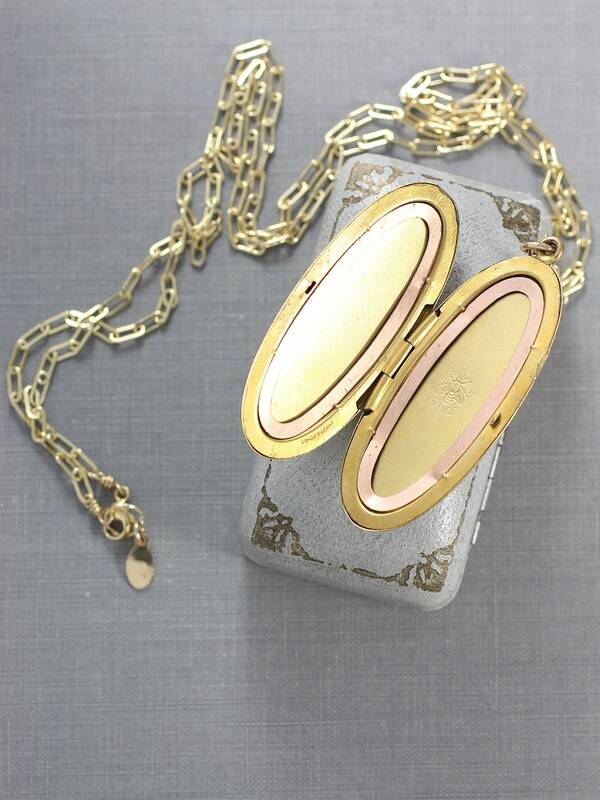 The antique gold filled locket opens to reveal two removable frames ready to hold your beloved photographs. 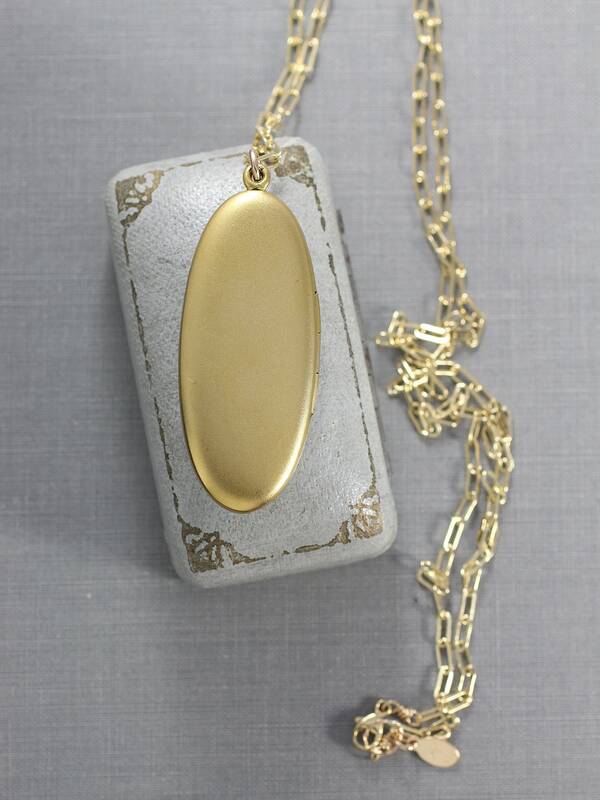 The locket was made by the RB MacDonald Company in the late 1800's to early 1900's. 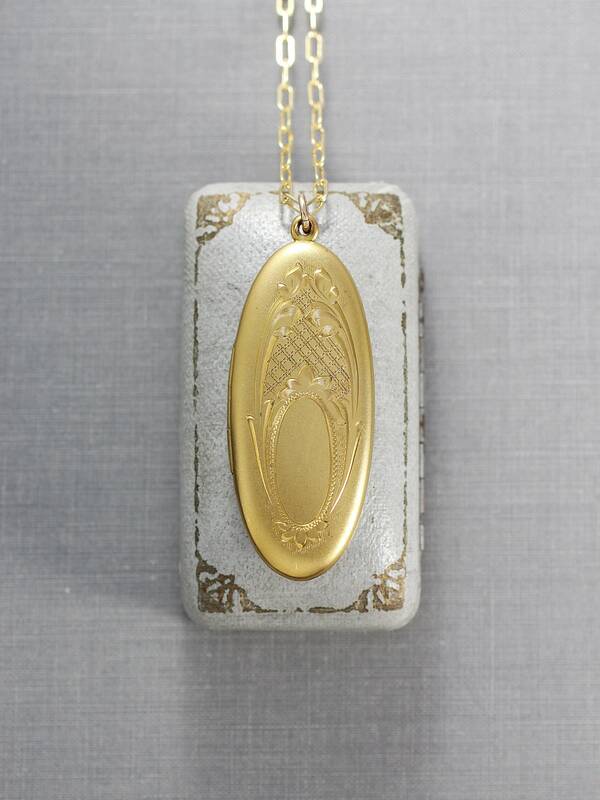 The century old company signed its lockets with a bumblebee surrounded by the letters "RBM" for the company name, "1874" for the year they opened, and the name "Atrice" below the bee to represent the owner's daughter, Beatrice. 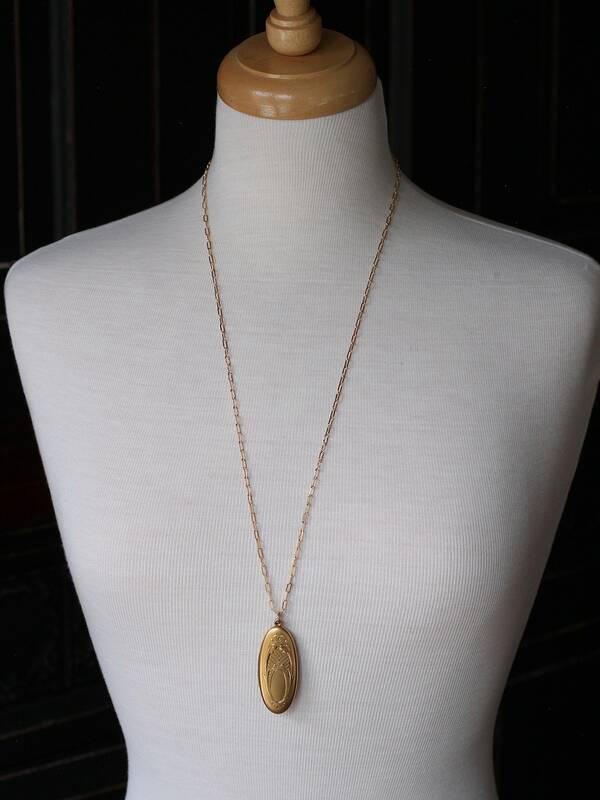 This locket dangles on a new 14k gold filled chain hand finished with a 14k gold filled trigger lobster clasp and ring.